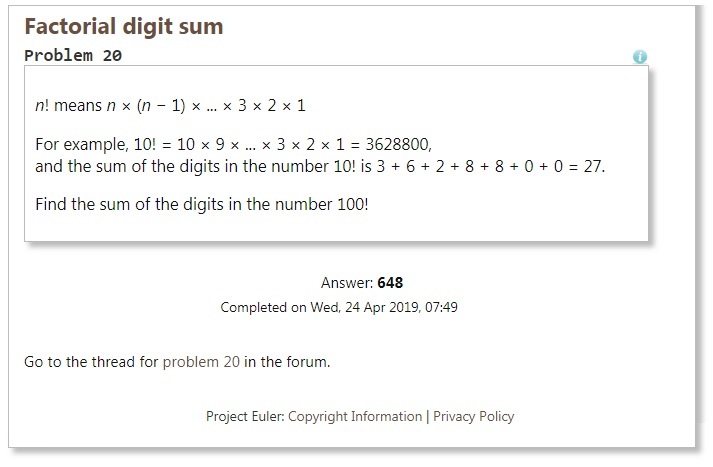 The Task: The task in projectEuler P20 is to get the sum of the digits in the number Factorial of 100! Factorial NdefinitionThe factorial of a positive integer n, denoted by n!, is the product of all positive integers less than or equal to n. For example, 10! = 10 × 9 × … × 3 × 2 × 1 = 3628800. 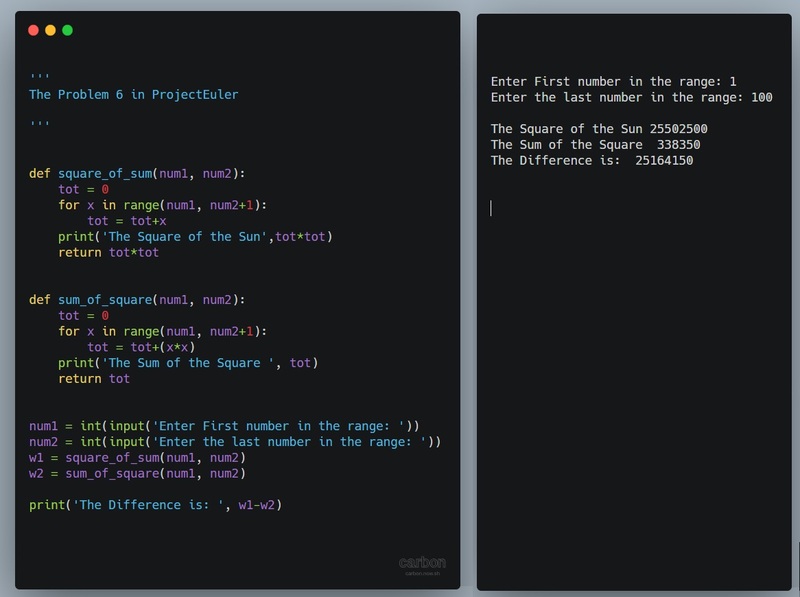 Problem 20 is another easy problem in projectEuler, and we will write two functions to solve it. 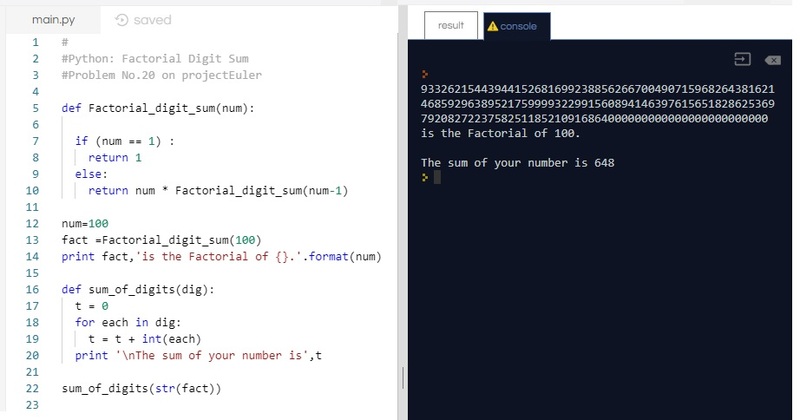 First one is a Factorial_digit_sum this one will return the factorial of a number. 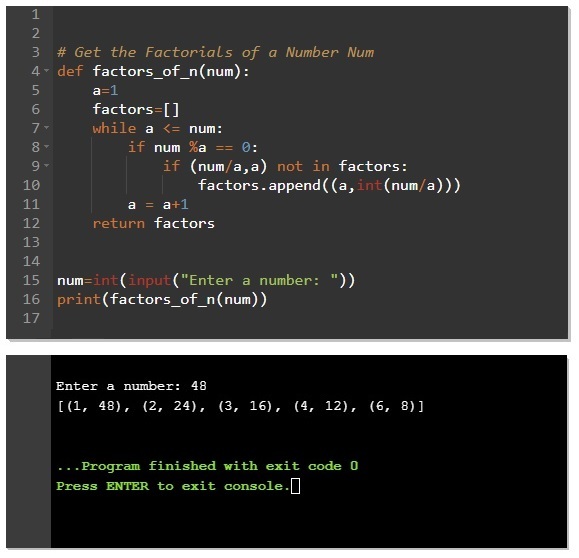 The second function will calculate the sum of all digits in a number N and we will call it sum_of_digits. 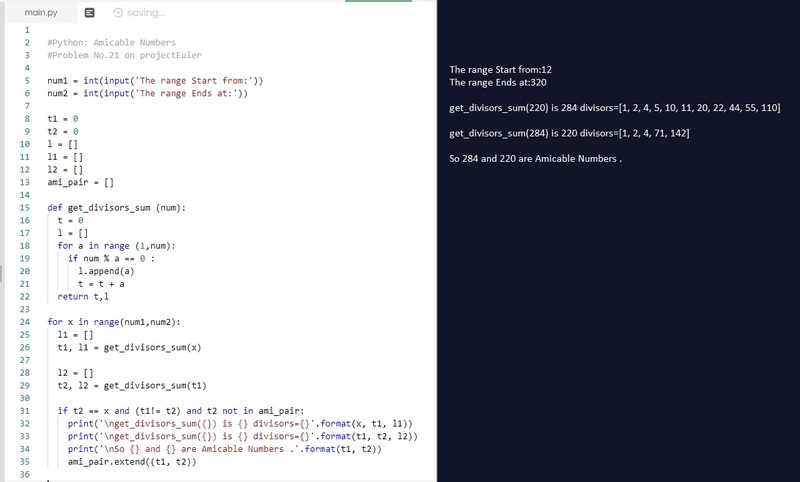 Clarification As long as i just start solving or posting my answers to projectEuler portal, i am selecting problems and not going through them in sequence, that’s way my posts are jumps between problems, so if i am posting the code to solve problem 144 (for example) that does’t meaning that i solve all problems before it.